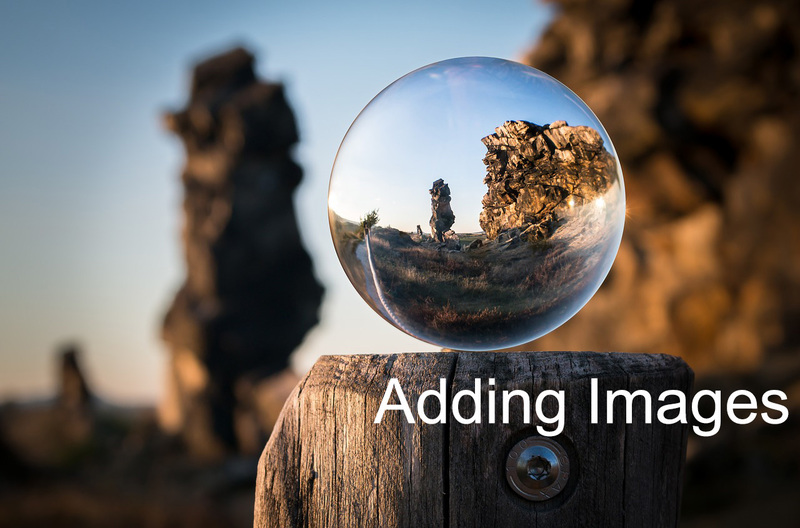 Are you adding images to your blog posts? And more importantly, are you using the appropriate images in your blog posts? Images play an important role, attracting more visitors to your website and blog. And if you are a regular reader of my blog Tricky Enough then you would have read the post “How to do Image optimization for better SEO.” But if you are visiting my website for the first time then I suggest you read that post too. In this post of Mine, I will explain to you that why you must add images to our blog post. And will also be explaining why you need to use some high-quality images. So, Here are the reasons for adding images to your blog Post. Images do appear in the search engines. And many people including me search for Images in the Google. Let me help you with this if your image is good in every way than Google’s algorithm will bring it up. Which will result in more website traffic, You can also consider this as organic traffic. You can see in the above images when I searched images on the Google and then shifted to the Images tab, there are lots of images appearing, but if you want to see the image with the best quality, then you have to visit the website from which the image is appearing. So, this is how images can help you to drive more traffic to your blog naturally. You might have experienced the same. When we see an image on the Social media, search engine or something related to it. Then our mind is automatically attracted towards that Image. This has happened to me many times. So, I always find that kind of images which attracts the readers to read my post. Look for the attractive images which help the reader to understand what the topic will be which they are going to read. I will suggest you to not to use the images which do not match the content you are writing. If you are going to show them a different image and the article is going to be different, then You are surely going to lose the potential reader, and it will surely affect the Bounce rate of your website. If you are a regular user of Yoast SEO, then you must be knowing that it turns the button green only when we add an image to the post with an alt text. You can check the below screenshot for the same. And I will also suggest you read another post related to the same “7 wrong ways you are optimizing images for your content marketing”. And I am sure that this post will be a great help for you. If you have a team of graphic designers or you are good at designing, then I will suggest you make infographics and post it on your blog as a blog post. You can check a post on the blog in which I have shared an infographic. The title of the post is “How to Choose the best WordPress theme.” I must tell you that I shared this Infographic on the sites like Pinterest and Other Related sites and as a result, I got Some new Traffic and Even got some external links to my post. We are in the World of Social Media. And there is nothing which is not on social media these days. I do believe that Facebook is more used than any other website. But if we have a good image with unique content then there is a possibility that it can be shared easily. There are some social media sites where you can share your post with best images on it, and I am sure that You will be getting more likes and shares on the social networking sites like Facebook, Twitter, Tumblr and LinkedIn. Well, according to me the above five reasons are the best to use images. But If there is any other reason in your mind, then I would love to know about that. Please share your opinion about this in comments. Well I think adding images to the blog post has numerous reasons. The main reason is images add attraction to the post and hence users are engaged to read more. Secondly it will also fetch traffic from search results. yes images will help to get the traffic from search results for sure. Thanks for sharing your words, I got your point and understand that how much it’s important to gain attention. But I know also that it will increase the load time of web page that’s why I don’t use images inside my post. If I upload it to Drive and embed in post then did I get the credit from SEO side? like backlinks from images ? Indeed a great post with valuable tips. I agree with you that, Images are important & I believe that graphics is the future, so we should experiment that how can we increase the use of images and engage our readers more into our blog. But for now, keep up the good work & keep giving away useful info. A picture is worth a thousand words. This is why all top bloggers utilize images to grab attention and effectively convey their message. I definitely agree with your all points. Visuals are a great communication medium because they lend themselves to creative freedom, we need to remember always stay on board with our company message and create and spread content that reflects our brand. Image relevancy is important when it comes to image optimization for SEO. Images are eye-catching so are perfect for linking and proper image linking techniques can offer even better results. Eventually, thanks for sharing your healthy thought with us. Yes, Most of we simply ignore main factors. in uploading images we do same thing. so thanks to sharing useful posts. its helps beginners. I’m getting better at including images in blog posts – having learned why it was a good idea. I have used infographics in blog posts too – in your opinion, should I also be adding a certain number of words to the blog post and infographic, or can the infographic stand alone? Thanks. I would say some words with the infographic ca do wonders. Recently I read somewhere that google AI is more advance now which will read the image and its properties. There are so many benefits of using images and we don’t use image it may look boring. Images are important for blog. There’s a saying “Image speaks a thousand words”. Images help to grab traffic and makes post more attractive. Hi Robin, good reasons for adding images here. I don’t use images myself but only because I am picky about what I put on my blog. I often find people use an image that bears no relation to their content, which is a shame. They just add an image because of the search engine benefits. To be honest I don’t do any of the search engine benefits things. Never have. My placement in raking has come from hard honest work over a period of time. Some blogs use images really well though, good post, thank you. yes, there are people who only uses images for Google only. But thanks for stopping by and sharing your opinion with us. I do think I’m on the right path since all my posts have images. It’s really good to see all the benefits and impacts images have on a blogs. I do hope to be receiving some orgainic traffic to my blog in no time. I couldn’t agree more Robin. Images can really draw attention to readers especially when it’s unique and relevant to the topic. The attention span of readers are becoming shorter and images can definitely hlep draw them back to reading the topic. It also works in email marketing! I really enjoyed reading your article.Thanks for sharing this useful post adding images blog. Hello Robin, I have read your article and totally enjoying it.It’s content is so rich that it will be very helpful to others to build their blog properly. Very nice post .. your post is very interesting .. I enjoy reading your blog .. Adding image is good practice. An image can speak more than a thousand words. If you do not use images in your article then it can lose its presentability. Thank you for your nice sharing.